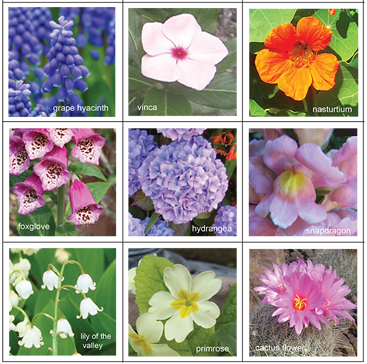 There are 72 full-color flower pictures cards and 48 category cards. Picture cards are divided among the players. Category cards are turned over and players check to see any of their flowers fit into that category. Categories include color, number of petals, geometric shape, symmetry, and more.